View Functional programming for everyone on Notist. How to encourage your team to try something new? 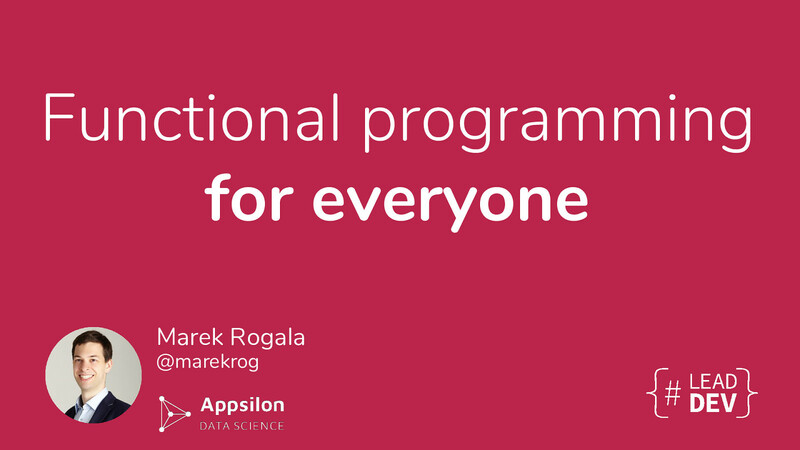 Thanks @marekrog for the high level insights on Functional Programming! I've been meaning / trying to learn functional programming for a while now, and @marekrog's talk about the benefits at #LeadDevLondon revitalised my interest and made me even more excited about the 4-week data engineering course in about to start (which will include some scala).